Wisdom of Life. : Rich & Humble. 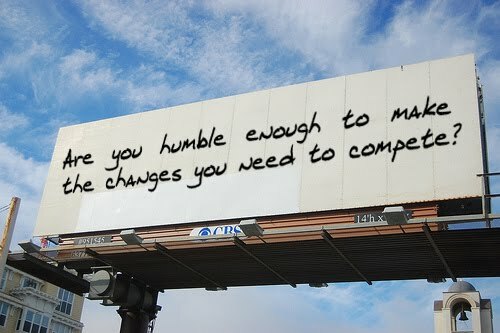 Is easy to live simple and humble when one is poor, not when you are rich and successful. One of my closed lady associate got a taste of success, when she recently achieved the highest award in her selling career. The company threw an expensive oversea holiday for all the achievers in recognising their success. On this holiday, she experienced many unexpected happenings. The true self and character of these so called high achievers was revived during the few days of togetherness. She thought her colleagues were simple and humble. To her surprise, they were not but rather the opposite of what she expected. They are calculative, arrogance, boastful, selfish, unforgiving, hot temper, brand conscious and demanding. They could be buying the best for themselves but the least they bother to tip for good services given. One word for them.. Selfish! I advised and reminded this lady who is currently climbing her ladder of success, not to forget her original roots. When you were poorer, you were simple and humble but when you are successful and richer now, you should be more humble and kinder in character. The fact is, money could change a person character and behaviour but if you could retain to be more simplier in yourself, you become the true star to everyone. I could only offer you my suggestions, but is up to you to manage and control your esteem and emotion, especially when success and richness are in your hand. Food for thought - "The richer, more powerful, the bigger you grow, the more knowledgeable you are, the more humble you should be."